Steve Warren | Rockwall Rocks! A Royse City resident and Rockwall Keller Williams realtor who was just diagnosed last Friday with inoperable, Stage IV cancer has started his own blog to share his “journey through cancer” in hopes that it may be of benefit to God and to others. 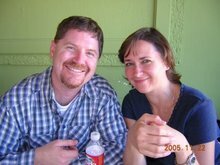 Steve Warren, 41, started the blog “Steve Warren” with his wife, Sheri, July 19, the day after receiving the tragic news from Dr. Rodriguez, an oncologist on staff at Baylor University Medical Center in Dallas, who is also a member of his church, Lake Pointe Church in Rockwall. According to their first entry, Warren checked in early last week to Parkland Hospital’s emergency room with severe stomach pains, after having lost 40 pounds during the last four months. After an initial diagnosis of acid reflux disease, he was transferred to Baylor for further tests, where a CT scan revealed that a malignancy on his lower esophagus had spread throughout many parts of his body. After learning that chemotherapy would only extend his life by a few months, the father of two sons, Charlie, 17, and Andy, 12, decided to go home and seek alternative treatments. He arrived home July 21. The strongest desire that Sheri and I have had for quite a while, is for not only our lives, but the lives of the entire Church be totally God-centered. We know that a life that is totally centered on God is one that will be used to bring Him glory, and there is no greater purpose in life than to bring God glory. We have been given this opportunity to help us calibrate our lives. And from the outpouring of love and generosity from our brothers and sisters in Christ, it appears that He is not just limiting this growth to us. We have a tremendous desire for every member of the Body to have a totally God-centered life and a vision of what great things God can do with a church that is full of God-centered people. We are humbled that you are gathering to pray for us, just as we have been humbled with all the love, prayers and financial help we’ve received. Jesus said that “They will know you are My disciples if you love one another.” The Body of Christ is Alive and Well, and pouring that God-given love on us. Give Him all the glory for that. Rest assured that our faith is strong, by His grace. And we know that God’s mighty hand is carrying us along this journey. Please pray that we will remain faithful throughout this trial. We have a battle ahead. The Word is sustaining us. “Thank you” is inadequate. Forgive us for not replying to all the emails and messages, but we are reading them all, and are encouraged by them. We will be joining you in prayer and worship from where we are. May His perfect will be done. God bless you, Steve, and your entire family during this terribly difficult time and the journey ahead! Tomorrow has been designated “Steve Warren” day as part of “Steve Warren Week” at Rockwall Keller Williams Realty as the local real estate company begins a drive to raise money for their associate who was just diagnosed last week with in-operable, Stage IV cancer and – barring a miracle – has only a short time to live. According to Keller Williams blog, called “Rockwall Cares,” Warren does not have adequate health insurance to cover the costs, although he is not going to pursue expensive chemotherapy since his oncologist told him that it will only extend his life by a few months. Warren, 41, and his wife are seeking an alternative cancer treatment. 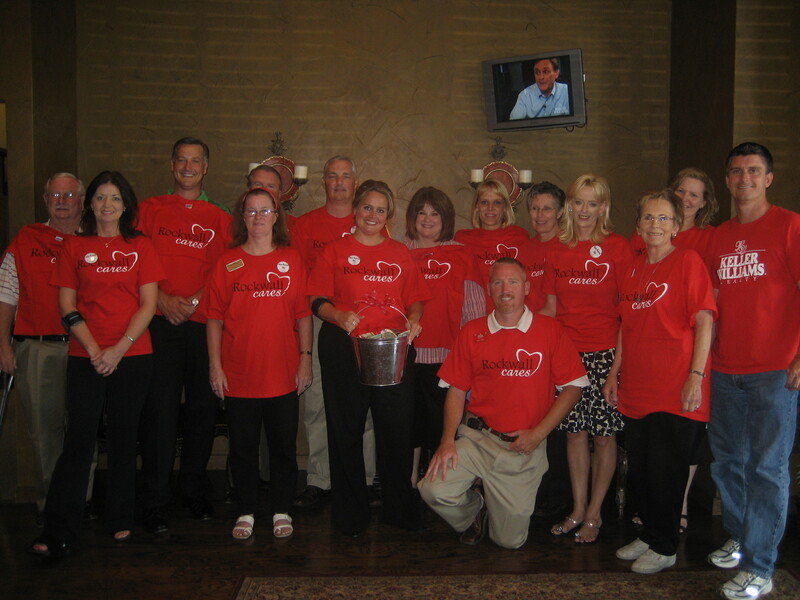 The blog states that employees and the community are encouraged to purchase T-shirts for $20 and to donate in the bucket to the Steve Warren fund at the real estate company’s office in the Kroger Center, just south of Kroger. It also contains a blog entry from Sheri Warren about the ordeal they have been experiencing. To read the entry, visit the Keller Williams blog at: http://rockwallcares.blogspot.com. You can also go directly to Steve’s and Sheri’s blog, on which they plan to record “Steve’s Journey Through Cancer.” Their stated objective is: “May God Use It For His Glory.” Find it at: http://steverwarren.blogspot.com. A Royse City resident and Rockwall Keller Williams real estate agent received the tragic diagnosis last Friday that he has inoperable Stage IV cancer and – barring a miracle – has only a short time left to live. Steve Warren, 41, the husband of Sheri and father of Charlie (17) and Andy (12) Warren, received the news from an oncologist on staff at Baylor Medical Center in Dallas, after initially being admitted with severe stomach pains, and after losing 40 pounds in the past four months. According to the Rockwall Keller Williams blog, the realty firm will be holding several fundraising drives beginning this week because Steve doesn’t have adequate health insurance. You can learn more by visiting their blog at: http://rockwallcares.blogspot.com. According to the blog, members of the church which Steve and his family attend will also be attempting to help, but it was not yet identified. If you’d like to donate, contact Keller Williams Realty at 972-772-7000. We are trying to contact Steve and Keller Williams to help publicize their fundraising drives and will update news about his condition and their campaigns as it becomes available.